Red Lion Brand Tie Dye Zebra Elastic Fabric Ponytail Ribbon Hair Scrunchy are the Hottest Fashion Hair Accessory for Girls and Women. 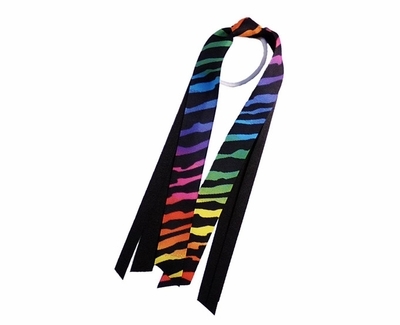 Fun Zebra Tie-Dye Print Ribbon Ponytail Scrunchies are composed of a colorful ribbon fabric and an elastic band to help hold your hair in place. These Sport Fashion Hairbands are great for all sports, and leisurely activities.